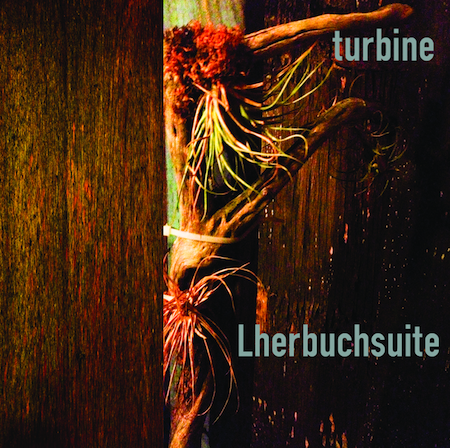 Turbine is Scott Thiessen (of rRope) and David Barrett (of The Vienna Noise Choir). For over two decades, they have been “tending to a garden of electronics and noise guitar”. The band has a new cassette, Lherbuchsuite, that was recorded last summer at their Brick Factory studio. It features Brian Kinsman (of Foot Village + True Neutral) and Ricky Wayne Garrett (of Inferno of Joy) on “dueling drums”. Deathbomb Arc is releasing the cassette later this year (in May), but the digital is available now. This right here is track number two. You can pay-what-you-want for the digital version of Lherbuchsuite @ bandcamp.com. Or, you can preorder the cassette version @ bigcartel.com. You get the digital right away, but will have to wait for May to get the cassette.